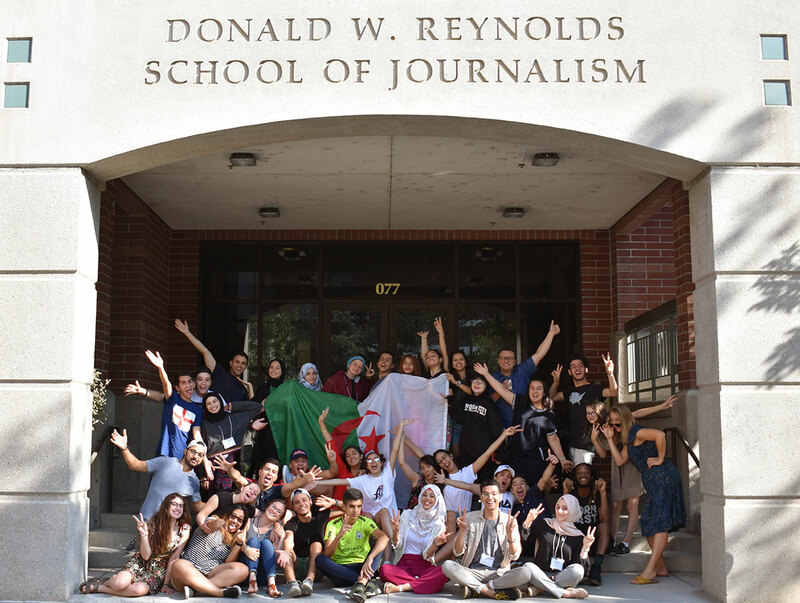 “Just to see the potential, to see already how skillful and how meaningful their work already is, is just a reminder of our connectedness in the world and how much potential this new generation has,” Reynolds School of Journalism professor Nico Colombant said. The AYLP is a four-week leadership and civic engagement program sponsored by the United States Department’s Bureau of Educational and Cultural Affairs and administered by the Northern Nevada International Center (NNIC). The Reynolds School is one of the program’s teaching partners. “In the leadership component, our three-legged stool is built around this idea of understanding ourselves and how we work with others,” Felts said. View the final team machine project below. “The students really go from kids right out of high school to leaders in a matter of the four-week period that they are in America and you really see them grow up,” Felts said. “I always try to teach what I call the grammar of video because sometimes they’re very much free thinkers or free creators and I try to professionalize their work – not to take away their voice but to allow them a broader scope of opportunities by knowing that grammar of video,” Colombant said. Reynolds School undergraduate students, Emily Hodge and Lucia Starbuck, graduate student, Cassidy Bowman, and alumni, Marquis Lawson and Kristin Mitra, assisted with this year’s program. Hodge, Starbuck and Bowman served as AYLP global ambassadors, helping with the facilitation of the trainings, video filming and documentary editing. Lawson and Mitra, along with Boualem Nabti, worked as AYLP program counselors for NNIC program coordinator Stacy Kinion. Starbuck’s mini-documentary showcased nine of the AYLP participants when they visited the Discovery Museum. “This was a super-intelligent, caring and fun group of students, and I’m honored to know them. It was fun learning about another culture while sharing mine,” Starbuck said.